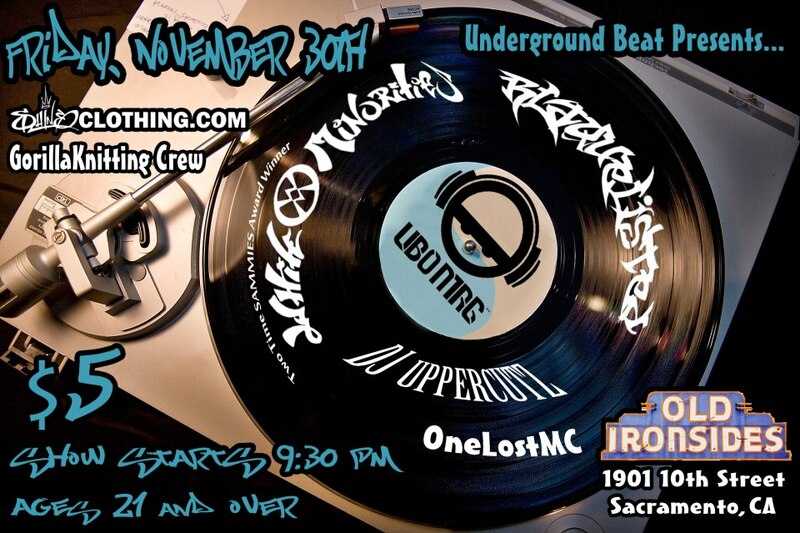 UndergroundBeat Presents the first Hip-Hop Metal show Sacramento has ever seen and there will be no fist fighting. Along with partners, Shine Clothing and Gorilla Knitting Crew, Organizer, Aaris A. Schroeder & Old Ironsides brings Sacramento-based bands, Blaquelisted, known for their metal-rock inspired funky hip-hop and ya mama’s metal & rap-core group, White Minorities to center stage! Also featured is dark-melodic hip-hop emcee, OneLostMC, who has graced the stage of Old Ironsides with the likes of CrazyBallHead and more recently at the “Dead Rock Stars Show,” Old I’s Halloween Benefit, Oct. 27. He is also one part of Sacramento’s Shades of Grey band. On the ones and two’s we will be entertained all night by DJ UpperCutz based out of Oakland, CA. 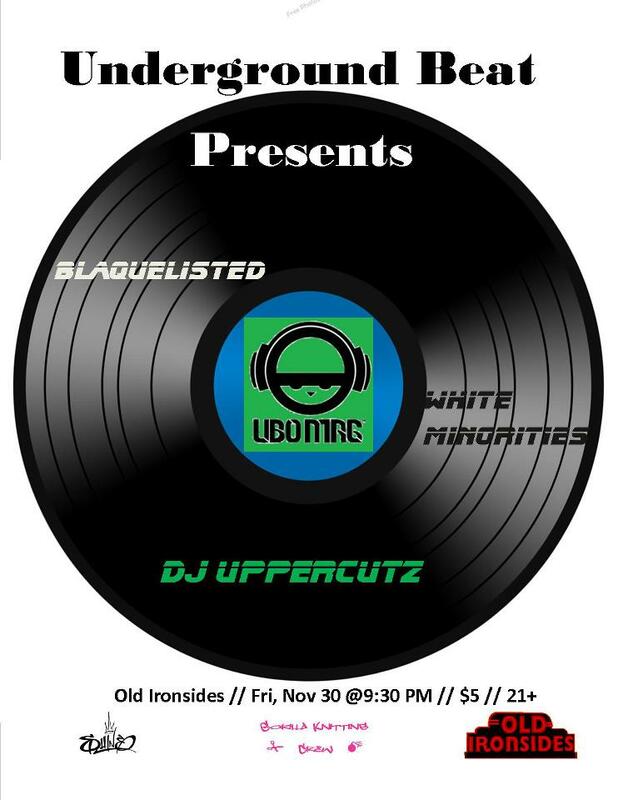 UpperCutz has DJed with Mr. P Chill, Tribe of Levi, Digital Martyrs & more recently his metal-pop band, Abyss Rising (Fairfield, CA). STATS: The show is $5 // 21+ // 9:30 PM // Casual Dress // Drink Specials ($2 PBR // $3 Wells). Previous Forget Traditional Cafes, Come to Quickly!